Who are they? I don't know their names! Last edited by femalepilot on 23 Aug 2006, 17:31, edited 2 times in total. Femalepilot, where do you find all these pictures? 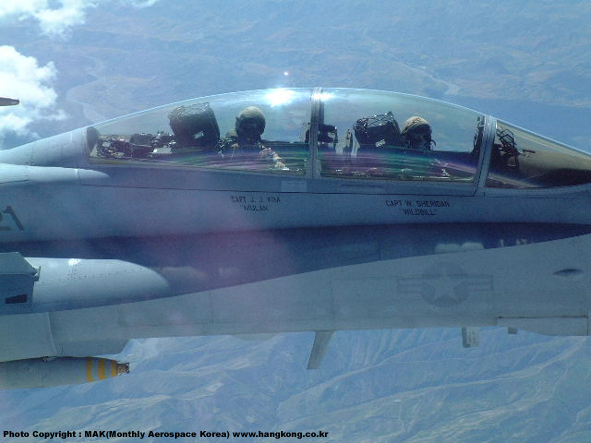 Are you a mil pilot? As for the two photos above, I don't know how they were all Hornet drivers in 1992. Women weren't allowed in fighters until the Combat Exclusion was lifted in 1993. Did the Navy have differing guidance from the rest of the services? Let me say it again - thanks for the pics ! Ok- they have earings in and one has hair thats longer than shoulder length. Put that together with what CFPA said about the pic date of 1992 and I think something is wrong. When she tried to attend aviation career day at her high school, Tammie Jo (Bonnell) Shults was told they didn’t accept girls. Wondering what step to take next, she decided to enroll at MNU because it had a good pre-med program and she had an interest in veterinary medicine. However Shults’ desire to fly never went away. After graduation, Shults applied to the Air Force, but found they wouldn’t allow her to take the test to become a pilot. The Navy, however, was more welcoming. Shults became one of the first female fighter pilots in the history of the U.S. Navy and one of the first women to fly F-18s. She landed her fighter plane on boats at 150 miles per hour and eventually became an instructor. Although she wasn’t allowed to fly in combat, she did fly as an aggressor pilot. After a successful career, she resigned her commission in 1993. But, as much as she loves flying, Shults says her favorite occupation is being a mother to Sydney, 4, and Marshall, 2. Tammie Jo Shults with her Navy fighter jet. Last edited by femalepilot on 23 Aug 2006, 18:42, edited 4 times in total. Not bad.....but I prefer Air Force girls. I prefer to stay with my own. femalepilot wrote: Who are they? I don't know their names! Can anyone find other images from Lt carol watts? 1st Lts. Christine Westrich Ted Shackleton USMC VMFAT - 101 Sharpshooters head back to ready room after a sortie over MCAS El Toro Calif.
Marine Capt. Jaden Kim, who flew in combat, looks up at a passing jet at Miramar. Two female fighter pilots assumed combat roles in the Iraq war. Left to right, Marine Capt. Jaden Kim, Capt. Vernice Armour, Lance Cpl. Curney Russell, and Cpl. David Hixon are honored during a halftime ceremony at the 2004 Outback Bowl in Tampa, Fla. on Jan. 1, 2004.
about a woman named Jaden Kim, captain in the US Marine Corps. The Navy offers so many opportunities and so many challenges that you’ll never regret your choices. You have the opportunity to go to many countries and see cultures, and be challenged in ways that many people don’t have the opportunity if they’re not in the Navy. I definitely feel I’m getting to do things that no one else gets to do. It’s wonderful. 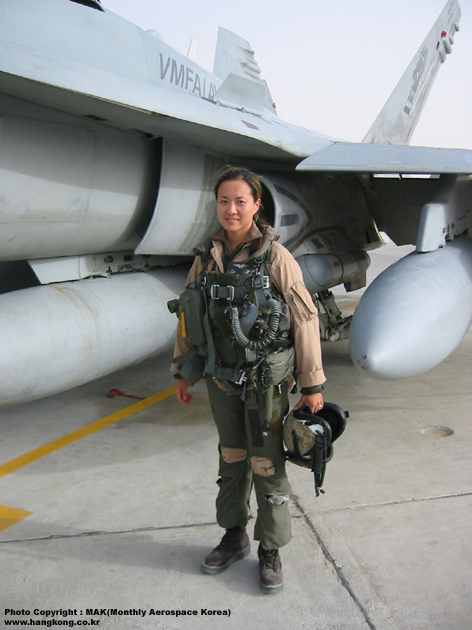 A female F-18 Hornet driver or not? I've never seen an F-18 flown by a lady!! Last edited by femalepilot on 27 Jan 2007, 20:31, edited 2 times in total.